Template Leo Travel designed by leading designers studio Leo Theme designed to create sites "tourist" style. The user will be given a choice of several styles and themes and the main subsidiaries of pages developed site. Template-based platform is JAT3 Framework, perfectly optimized for the display of the site on mobile devices and means different browsers. K2 component support allows you to easily manage previously placed materials and add new ones. 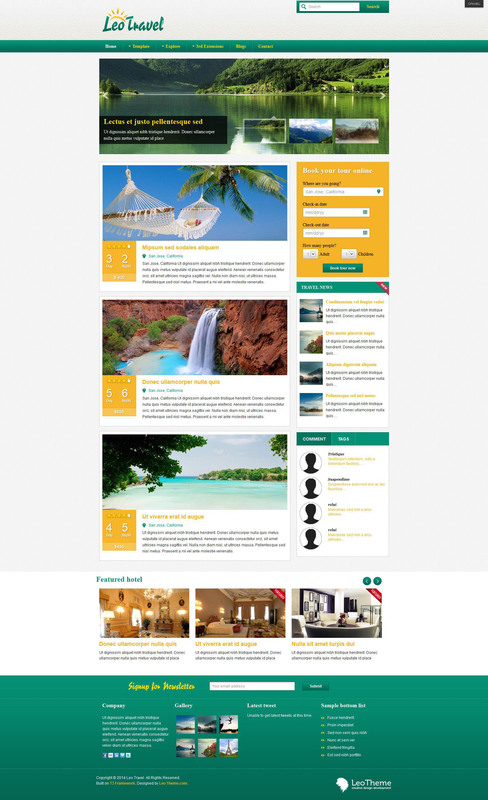 This template - Leo Travel, ideal for creating websites as travel agencies and various travel agencies, etc.